Target groups: primarily students for special needs education and integrative pedagogy, and also students from other disciplines can qualify for participation. Objectives: The aim of the extensive curriculum "Principles of the Austrian Sign Language (ASL) I" is to convey to students an additional qualification in the field of the Austrian Sign Language (ASL). They should acquire knowledge about the deaf community, linguistic knowledge of the sign language as well as basic active and passive skills in ASL. The aim of continuing EC ASL II is the ability to communicate in ASL at the level A2-B1, as well as in-depth knowledge of the educational, cultural and social particularity of the deaf community. 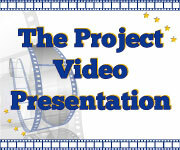 Deliverables: developing students’ and teacher’s skills (in using foreign languages, preparing and giving presentations, using multimedia technologies, management and social skills), developing a sense of belonging to the European community. Both extensive curricula for ASL are dedicated to the teaching of the Austrian sign language at tertiary level. - There is huge interest and scientific activity in the field of the sign language in the preparation of the students’ dissertation papers. - The course offer, qualified help and further scientific work are still minimal, although ASL has been recognised by the Austrian Constitution (Art. 8 Abs 3 BV-G) since 2005. Deaf people are still excluded for qualifying for a job in Austria, as they are not accepted to study in Pedagogical Universities. The teaching staff teaching in a special school for deaf people do not have to prove that they possess special language competencies before being hired. Their qualification does not imply knowledge of ASL in order to use it as teaching language. There is huge need of teaching staff that would be able to use ASL at all levels of the educational system. The objective of the Complementary study ’Basic Principles of the Austrian Sign Language (ASL) I’ is to confer students a complementary qualification in the field of the Austrian Sign Language (ASL). They should learn about the deaf community, to acquire linguistic knowledge about sign languages as well as basic active and passive competences in ASL. The objective of the CS ASL II is to enable communication in ASL at A2-B1 level, to acquire deeper knowledge regarding the pedagogical, cultural and social needs of the deaf community in order to develop competencies in aiding and assisting them. The target group of CS ASL I and II are students in Heilpädagogik and integrative Pedagogy, but also other students from different fields of study can participate. Because of a limited number of course participants (only two language courses are on offer at the same time) only 32 persons can enrol. At CS ASL II only one language course is on offer because of high costs and it can be attended by 16 students, only. The Complementary study ASL I and II was developed by linguists and specialists in educational sciences and it is taught at the Institute of Educational Sciences of the University of Vienna and assisted by the Institute of Linguistics. - Christian Stalzer (Visiting lecturer from Uni Graz). There was no planned evaluation strategy. The main factor is a matter of funding for the continuation of the CS ASL at the Vienna University– the great success of the CS (there is huge interest and excellent feedback from highly motivated course participants) will play a role, too. It is important to mention that this CS is not supposed and does not intend to prepare interpreters (i.e. this is not a wonder course for a highly needed profession). One of the strengths of CS is that it respects jobs, where deaf people should mainly work. Thus, deaf language teachers do not face competition. Graduates are taught to work with deaf ASL users, and develop besides language competences also respect and abilities to differentiate purposeful activities from others. Until now 48 students completed CS ASL II (the first year in July 2010, second year June 2011, third year June 2012). The theme of the 2011 European Language Label Award suited this project very well. The University was asked to apply for it. The coordinator of the CS Dr. phil. Verena Krausneker filled in the application forms. The good news of the selection of the project for the European Language Label was shared with all the teaching staff involved. The print-newsletter of the Association of Applied Linguistics (www.verbal.at) wrote about it. Poster presentation of the CS ASL at ‚Aktionstag Mehrsprachigkeit’ (23.11.2011) at Vienna University. We think that the European Label has contributed to the acceptance and consolidation of the Extended Curriculum for ASL. Dr. phil. Verena Krausneker does not give any pieces of advice. 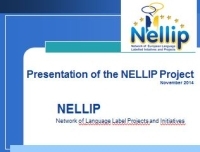 The NELLIP Network selected the project ”Complementary study programme in Austrian Sign Language / Erweiterungscurriculum Österreichische Gebärdensprache” for its consistency with the political priorities of the European Commission in the field of language learning. - additional qualification for students in the field of the sign language in Austria. - starting point and a source of inspiration for similar linguistic initiatives in other countries.